American author Frances Mayes put Tuscany on the top of women’s must-go list with her book “Under the Tuscan Sun,” and also now a movie, inspiring fantasies of following in her footsteps and renovating a crumbling but magnificent villa in the Italian countryside. Yet while Americans may know Tuscany best for its enchanting landscapes and country villas, the region has much, much more to offer. Join their escorted Tuscany tours and you will adore Tuscany’s medieval hilltop villages like Siena, Volterra, San Gimignano, Montepulciano and Cortona, where you will find local artisans at work in workshops on meandering cobblestone streets. Their Tuscany small group tours has a more relaxed tour pace so you can linger in laid-back outdoor cafes in Siena or at the villages’ osterias, filled with warm laughter and the delicious aromas of such local delicacies like ravioli in sage butter sauce. And your wine glass will always be half-full in Tuscany: its exquisite vineyards produce a range of acclaimed wines, from the hearty red Brunello di Montalcino and Chianti to the citrusy white Vernaccia of San Gimignano. Wine tasting in Tuscany is one of the highlights in our escorted, guided Tuscany tours. Tuscany isn’t just about the quiet country life— the province claims one of the most sophisticated cities in Italy: Florence. This city is home to the Accademia, where you can view some of Michelangelo’s classic works, including the Statue of David, as well as the Uffizi Museum, a must-see for art aficionados. Shopping mavens will want to head straight from Florence’s trademark leather and gold shops. Florence is a jewel. A must-stop in all their guided tours of Tuscany. Why book Well Arranged Travel’s upscale Florence & Tuscany tours in Italy? Their upscale, private tours of Tuscany and Florence are designed by Italy travel specialists. Their private tours are designed by expert Italy travel planners and local guides who specialize in customized upscale Italy private tours and vacations. Day tours, multi-day tours, full vacation packages and escorted group tours are available. Well Arranged Travel’s team of travel, consultants, passionate guides and professional drivers will take you through Florence’s and Tuscany’s history, art, architecture, ruins, food and wine, and local culture. Inquire about customizing your Italy vacation to Florence and Tuscany. You may privatize any of their published Italy tour packages or customize one of your own. Your Tuscany vacation package, private transportation, and your choice activities. Create your dream Italy vacation with Well Arranged Travel. Well Arranged Travel offer Italy small group tours led by expert tour guides and experienced tour director. 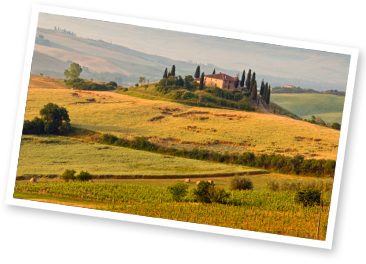 They have one-week long group tours to Florence and Tuscany and longer like their Best of Tuscany & Umbria Tours. Review their list of escorted group tours.